This menu from the Detroit-Leland Hotel features an aerial photograph on the cover. 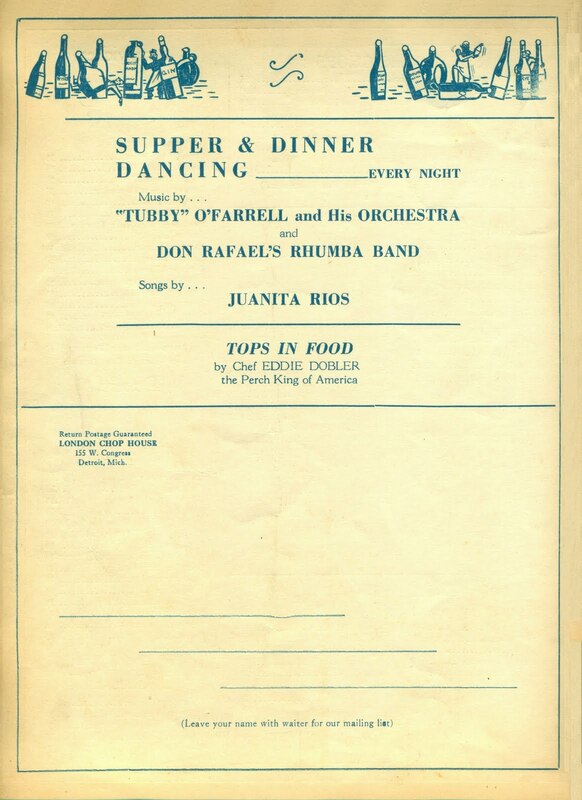 Dated May 23, 1940, it does not reflect World War II which had already started in Europe. 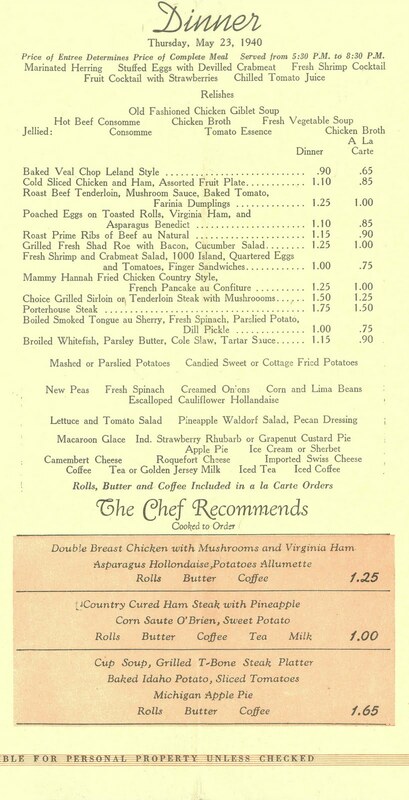 Continuing its march of conquest that began with the invasion of Poland the previous year, Nazi Germany was on this day still crushing the Netherlands and France. 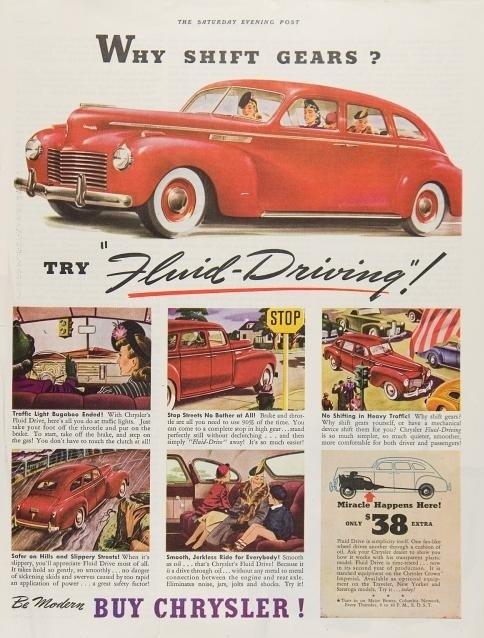 In response, the United States encouraged the car companies to retool and manufacture military equipment for its European allies. 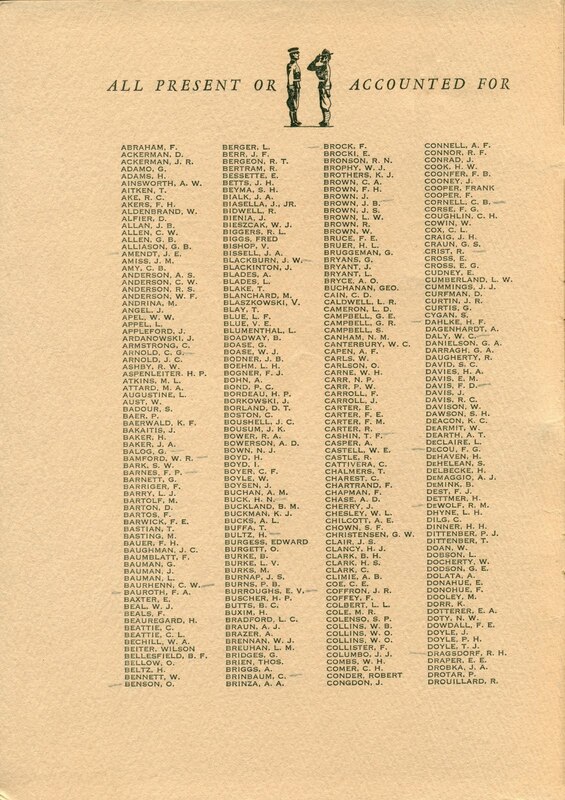 America entered the war directly in December 1941, following Japan’s surprise attack on Pearl Harbor. 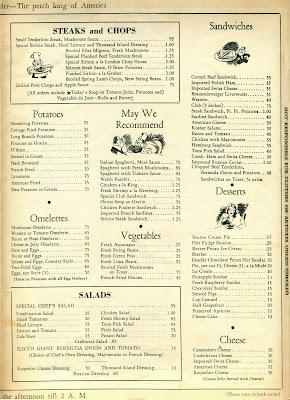 In 1940, the best place in town was the London Chop House. Situated in the basement of the Murphy Telegraph Building at 155 West Congress, this restaurant attracted business executives, and celebrities passing through the town, much like the Pump Room in Chicago. 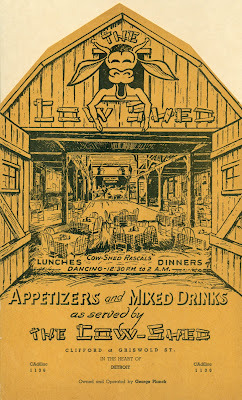 Both restaurants had opened only two years earlier. 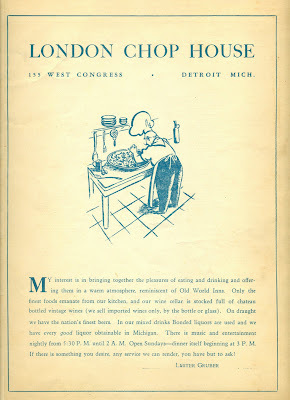 The chef at the London Chop House was then Eddie Dobler, dubbed the “Perch King of America.” The yellow perch, considered one of the finest freshwater fish in the Great Lakes, is still an important game fish in Michigan. The bony nature of this fish is its only drawback, an issue addressed on the menu by describing the dish as “boneless” perch fried in butter. 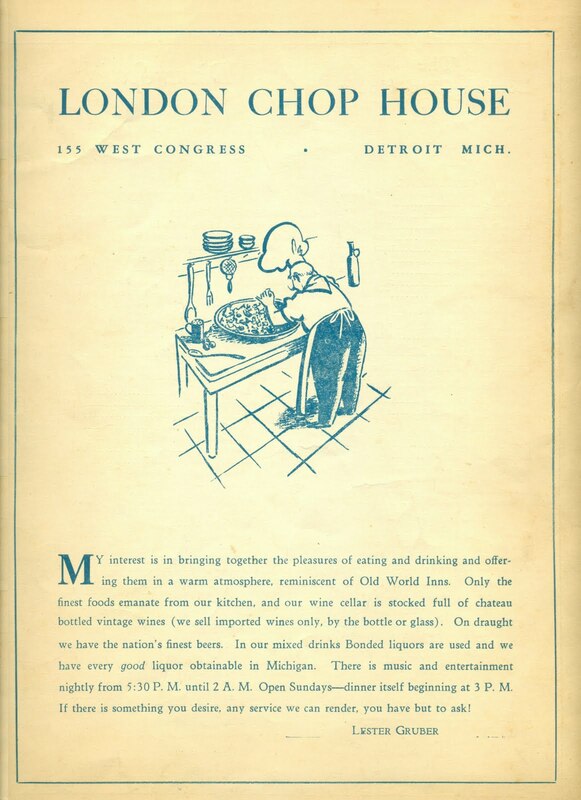 Affectionately called the “Chopper,” the London Chop House was also known for its steaks, chops, and fine wines. 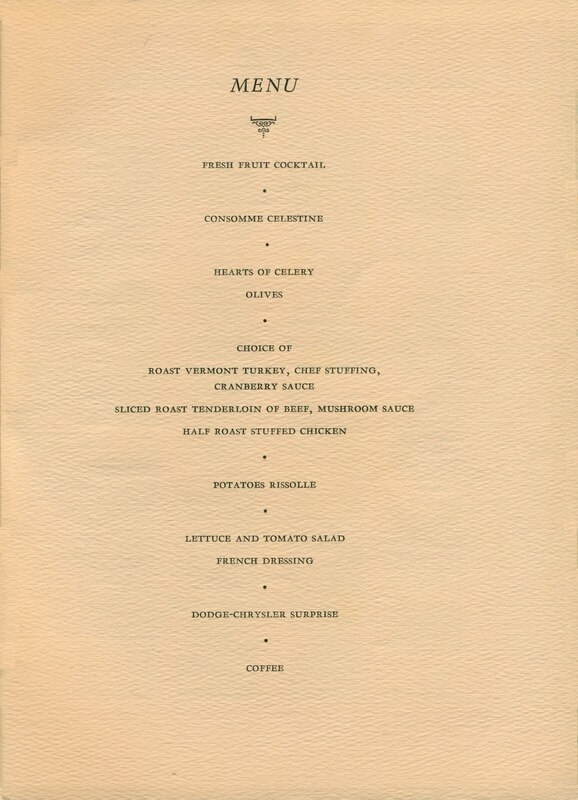 It also served alcoholic concoctions like the Zombi, touted on the menu below as the “world’s most potent potion.” A better bet was to order something from their excellent wine list, such as the 1928 Chateau Margaux, a first growth Bordeaux from one of the legendary vintages of the twentieth century. 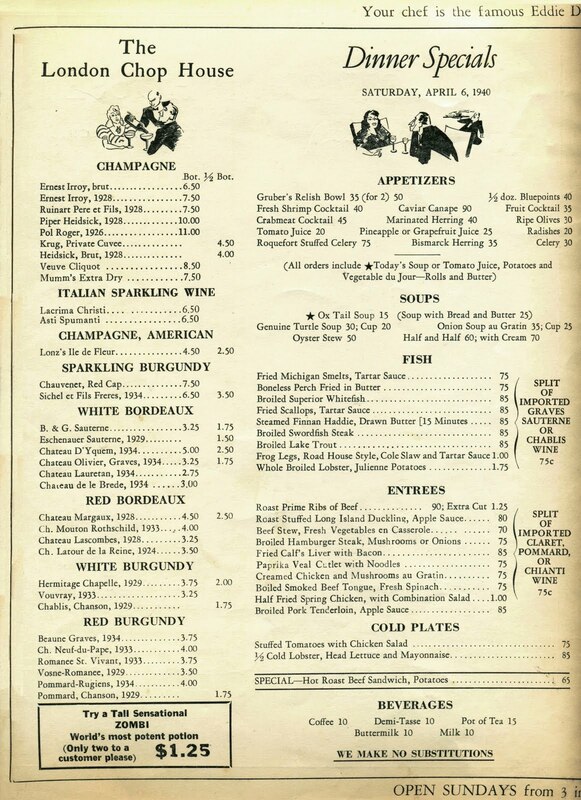 Although the Margaux is a relative bargain at $4.50, it was still pricey by the standards of the day. 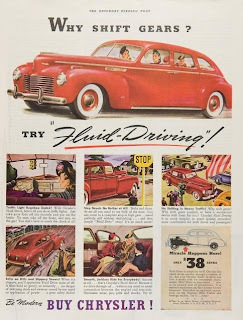 In 1940, the average cost of a new car was $850, representing about eight months wages for a factory worker, or seven months of a teacher’s salary. 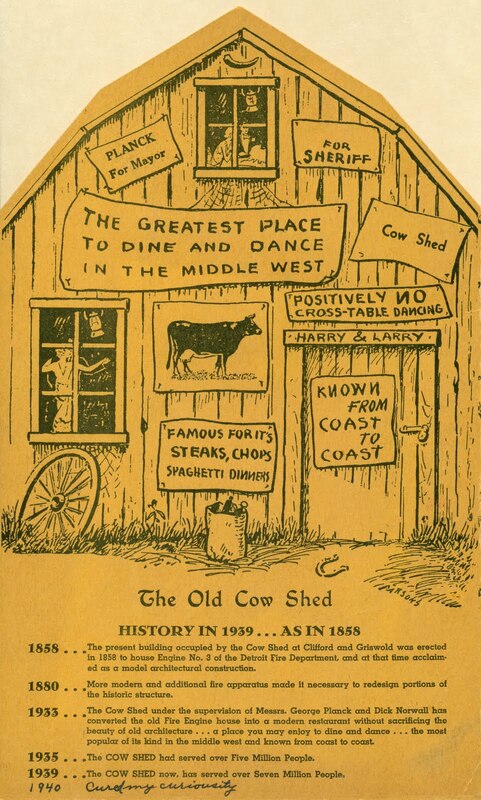 Attracting more of a middle- and working-class crowd, the Cow Shed was situated in an old fire station dating back to mid-nineteenth century. 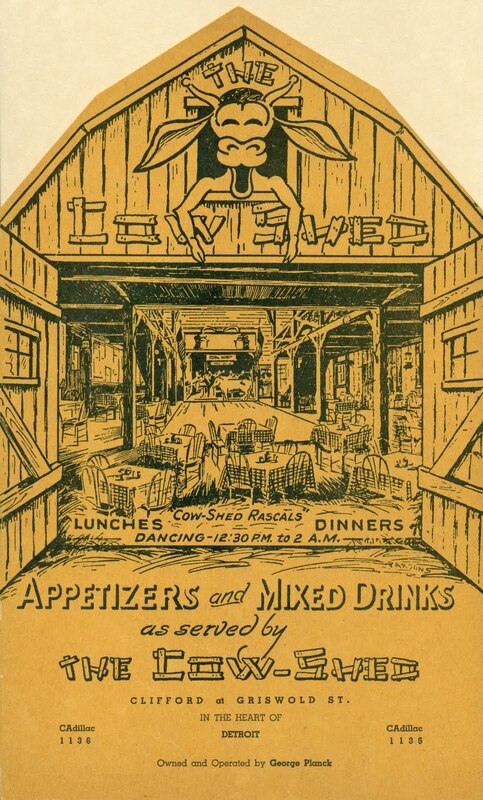 However, what really distinguished this corny nightclub was its rustic interior which was designed to look like the inside of a barn. 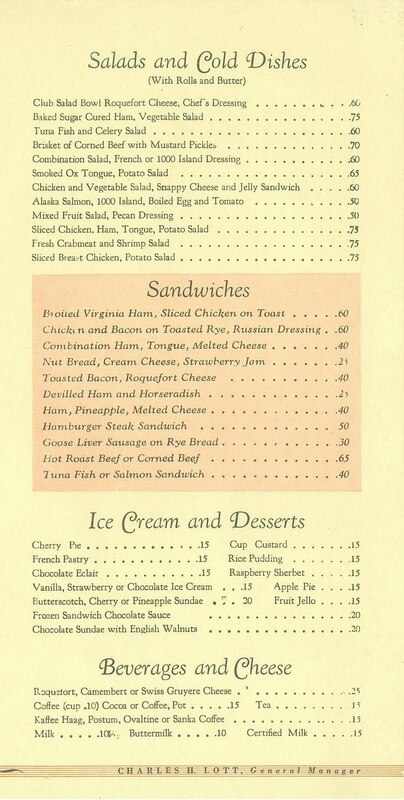 Such restaurants were popular in the 1930s and 1940s. 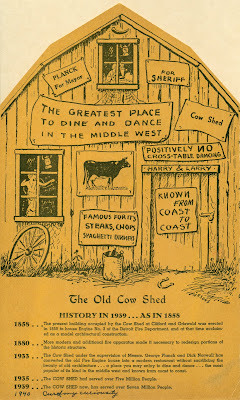 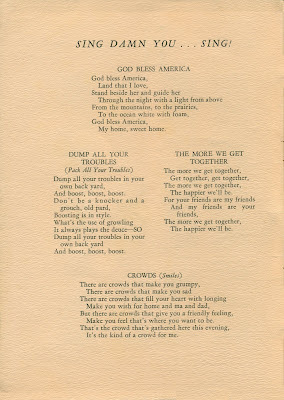 Similar barn-themed restaurants included Topsy’s Roost in San Francisco, where patrons sat in ramshackle chicken coops; and the Village Barn in New York’s Greenwich Village, featuring country music, square dancing, and audience participation games like potato sack races. 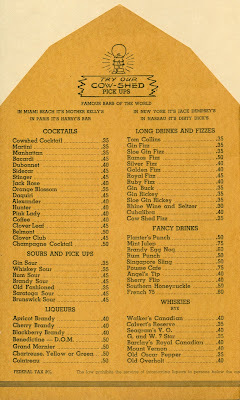 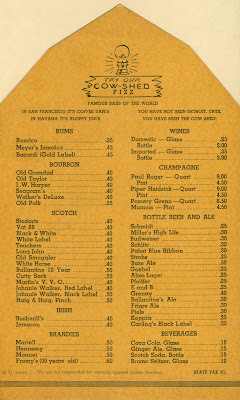 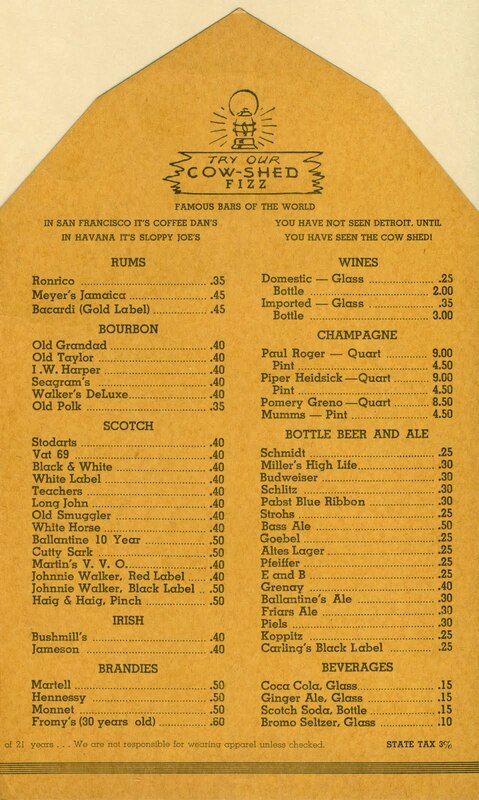 The person who saved this beverage list from the Cow Shed in 1940 added the inscription “cured my curiosity,” a quaint reflection of their excursion to see some of the city’s nightlife. 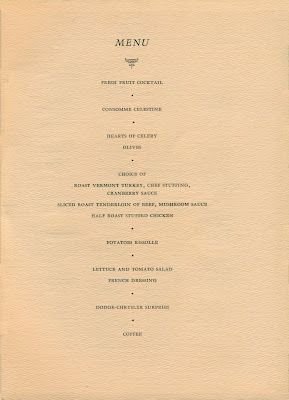 The modest menu below comes from the wood-paneled executive dining room at Chrysler’s plant on Jefferson Avenue. 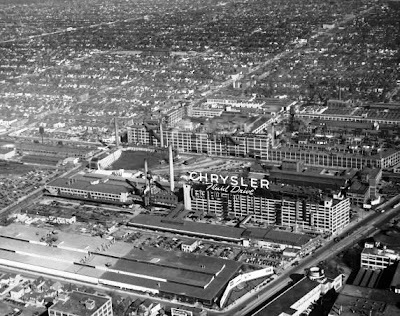 Located only a few miles east from downtown, this plant was situated in an area where the city’s first factories were established along the Detroit River. 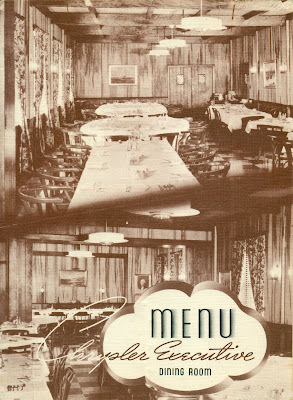 Illustrated with photographs of the laboratories and the company's new car models, this menu is dated June 17, 1940. 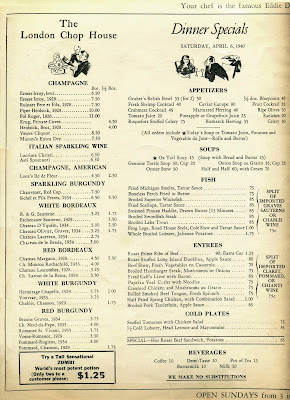 In Europe, German tanks were racing toward Paris; France capitulated six days later. 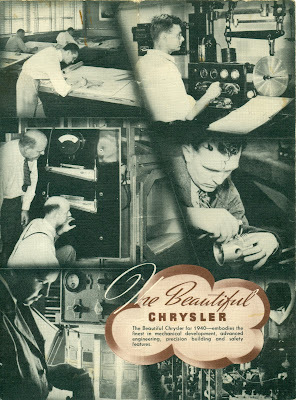 It was about this time that Chrysler’s president K. T. Keller received a call from the Office of Production (O.P.A.) 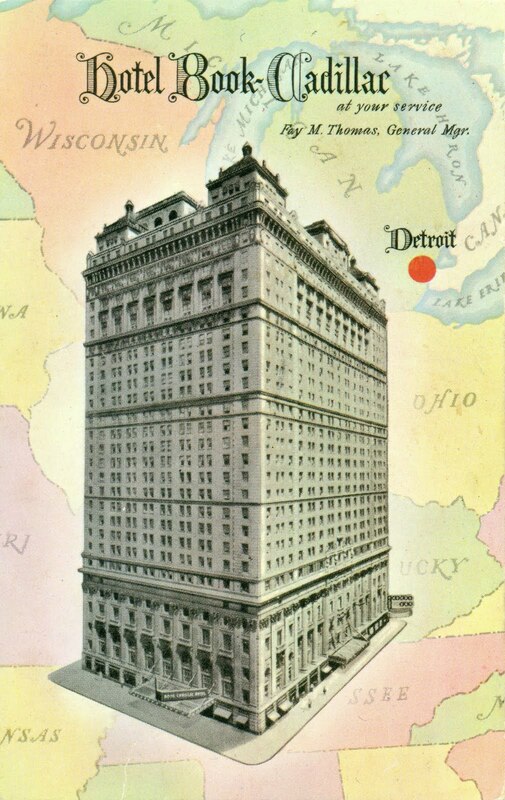 in Washington. “K.T., will you make tanks?” asked the O.P.A. chief. “Sure” replied K.T., “Where can I see one?” Described by Fortune magazine as “heavy, hearty, two-fisted, and go-getting,” Keller was a tough production man who led Chrysler during its massive retooling effort to produce military equipment. 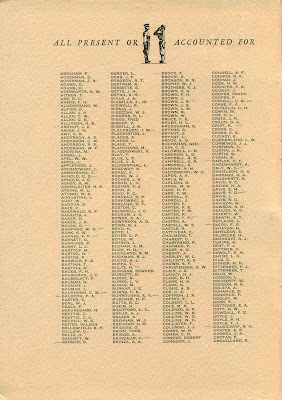 In particular, the Jefferson plant manufactured a wide range of materiel for the war, including industrial engines, steel pontoons, marine vehicles called “sea mules,” artificial-smoke machines used to conceal ships and amphibious troops, heavy-duty fire pumps, air raid sirens, submarine nets, and highly-polished searchlight reflectors. 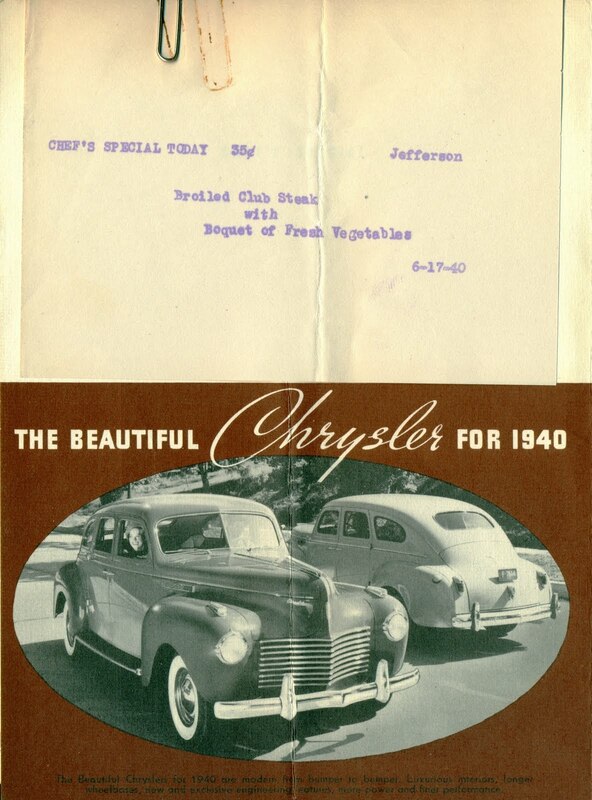 The war not only dramatically changed Chrysler’s product line, it also transformed its work force which suddenly included large numbers of African-Americans and women for the first time. 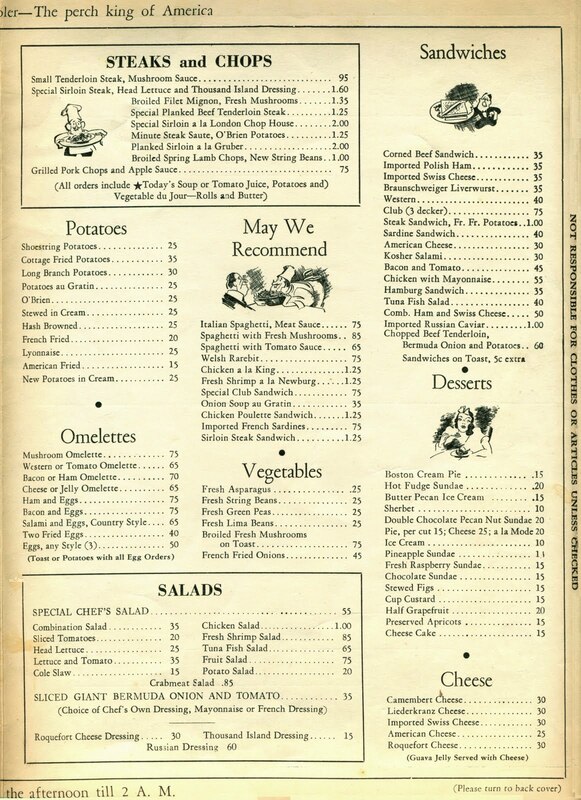 Providing an anecdotal glimpse of life in Detroit during a brief moment before the war, these menus bring to mind some of the changes that have come about over the last seventy years. 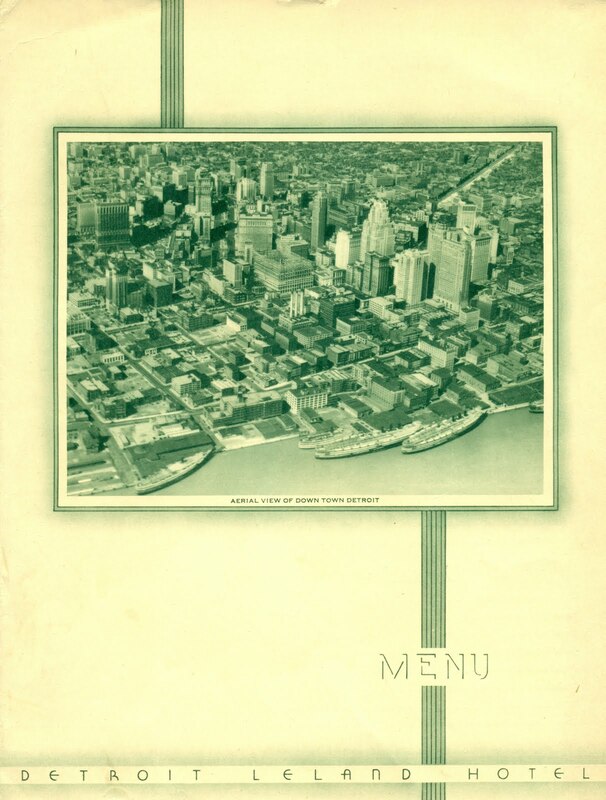 Generally speaking, today’s menu covers no longer reflect the civic pride and optimism expressed by the aerial view of Detroit, nor have the workers in our industrial heartland been singing many songs at company meetings lately. 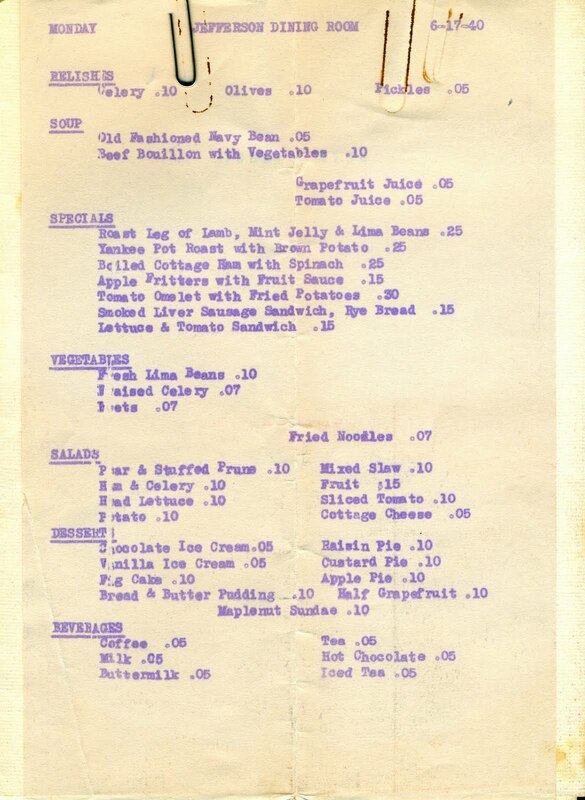 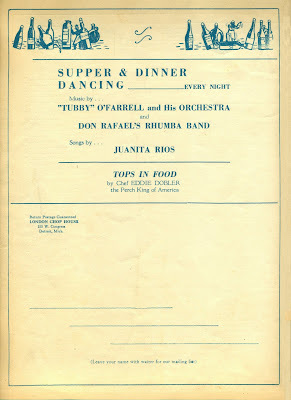 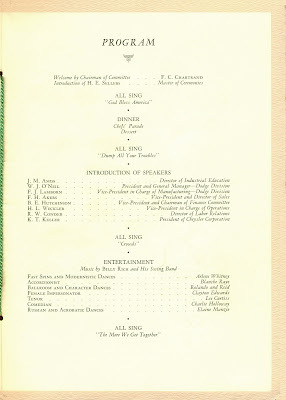 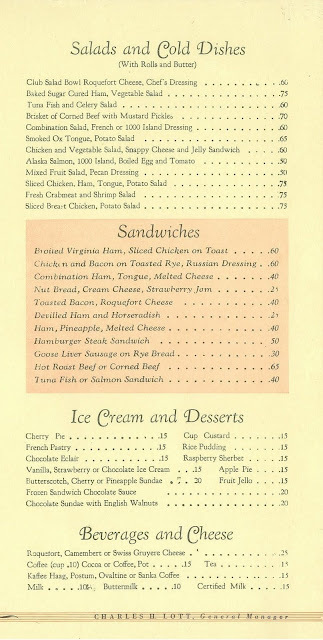 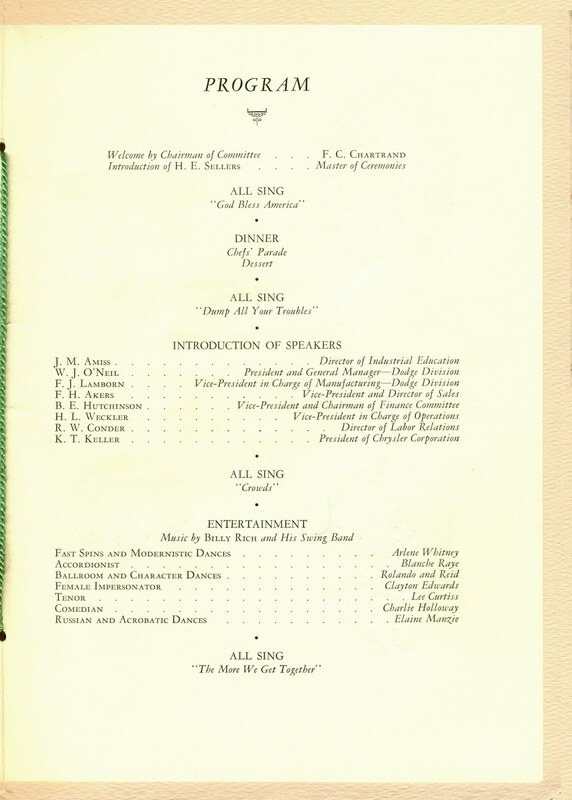 In addition, the menus suggest that America was a more level society in 1940, as reflected by the simple fare served in the executive dining room. 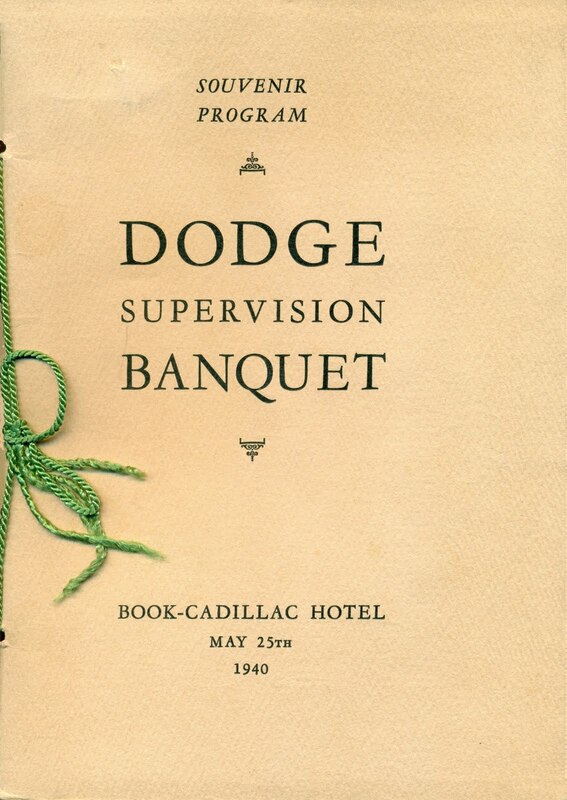 Perhaps most troubling, the Chrysler meeting reminds us of how the military-industrial complex evolved after the war. 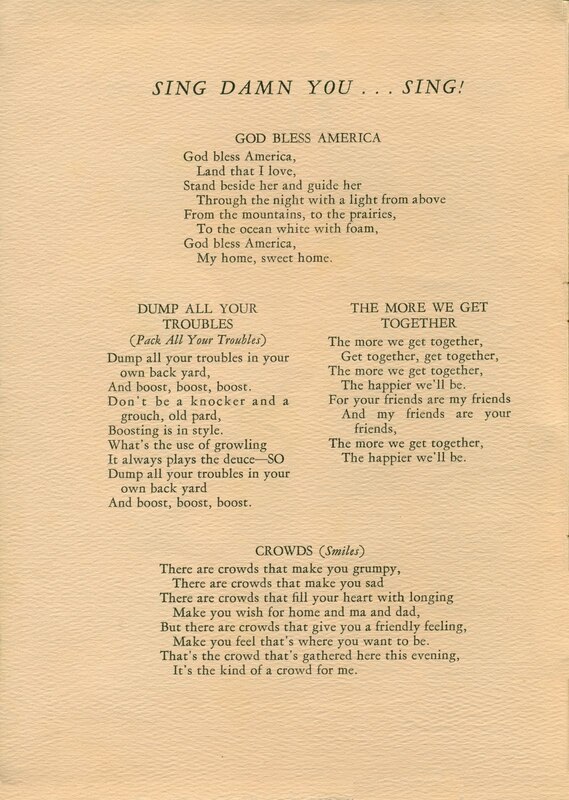 One of the first warnings about its dangers came from President Eisenhower in his farewell address in 1961. 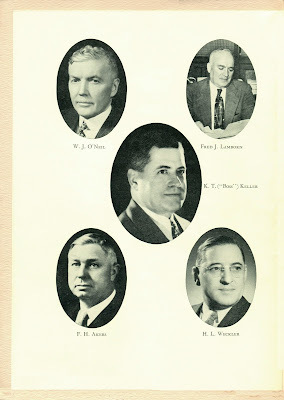 Today, military contractors are permanent industries not capable of retooling to produce consumer products in times of peace, thereby hindering the nation’s ability to beat its “swords into plowshares and spears into pruning hooks,” as it says in the Book of Isaiah. Henry, nice post! 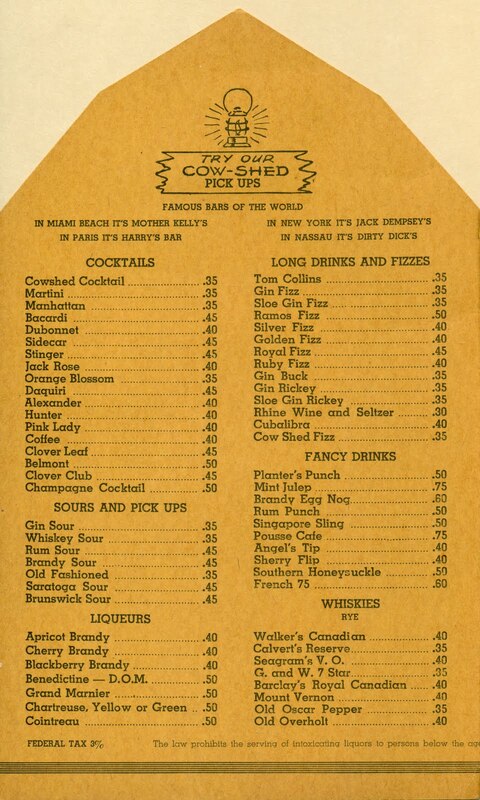 I interpret "cured my curiosity" to mean "I don't need to ever go back there."